Click to shop the image! My husband loves to experiment in the kitchen with some of the staples that we keep on hand. This Chipotle Tuna Patty recipe is a great meal to spice up your routine and add delicious albacore tuna to the mix. 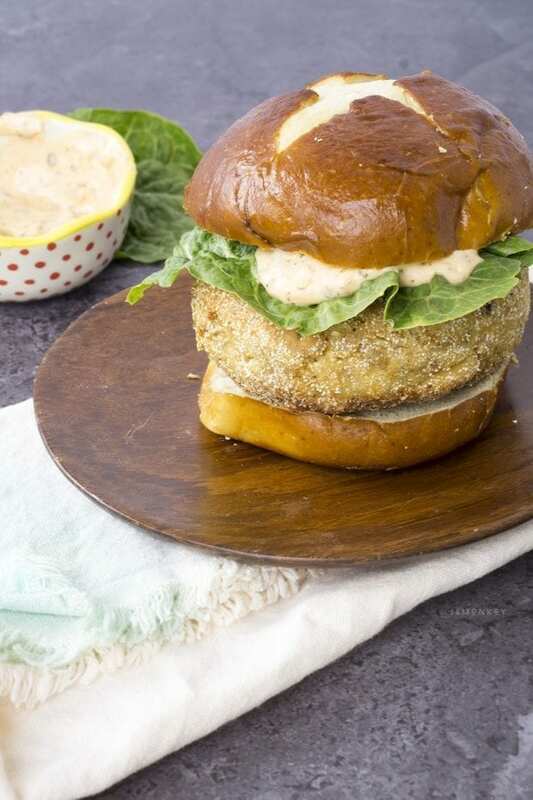 The crispy on the outside and bursting with flavor on the inside, this chipotle tuna burger can be made as a single meal or doubled to make more. Canned tuna recipes can be a versatile option for mealtime. We keep a few cans of Wild Selections in the pantry for great recipe ideas. We always have Wild Selections wild-caught seafood on hand because it's an excellent source of protein. Their mission to use sustainable fish is important to me when I'm looking for a brand to feed my family. 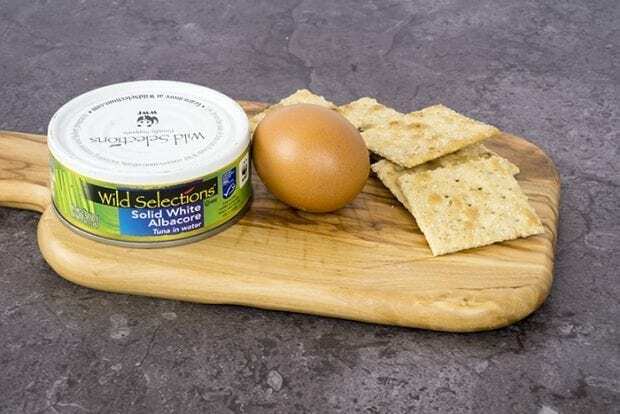 Wild Selections uses fish from ocean areas that have been certified sustainable by the Marine Stewardship Council (MSC) Standard. They have been the world’s leading certification program for wild-caught, sustainable seafood for the past 20 years. The products are also Non-GMO Project Verified. But what I love most about buying Wild Selections is that they donate 13 cents from the sale of each can to support World Wildlife Fund’s efforts to protect marine life and expand sustainable fishing practices, up to $1 million by the end of this year! It's essential that we take care of our oceans and animals because we are all dependant on each other and we have to have them for future generations. This recipe creates one thick burger or two smaller patties. It all depends on who you're feeding. Because my husband created this meal, it was all about the one giant patty. You can double the recipe if you're looking to feed the family though. 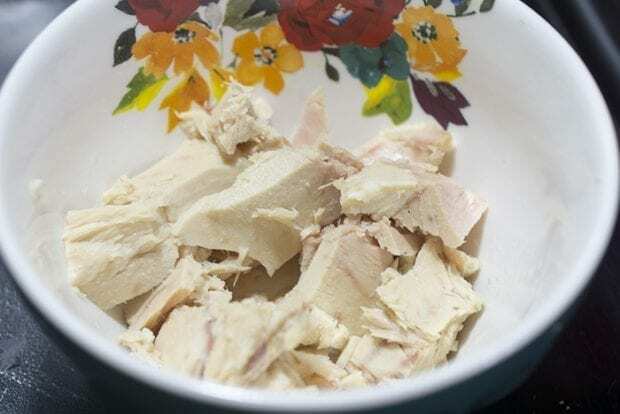 I started with Wild Selections Solid White Albacore Tuna in water and drained out all of the water. I then added the egg, crushed saltines, and chipotle seasoning and mixed until it was well combined. For this recipe, I make the tuna patties with crackers because of the salted tops. They also soak up the remaining water much better than breadcrumbs. I then shaped the mix into a tuna burger shape. On a small plate, I sprinkled a generous amount of cornmeal to cover the plate. I then coated the outside of the chipotle tuna burger making sure also to get the sides. 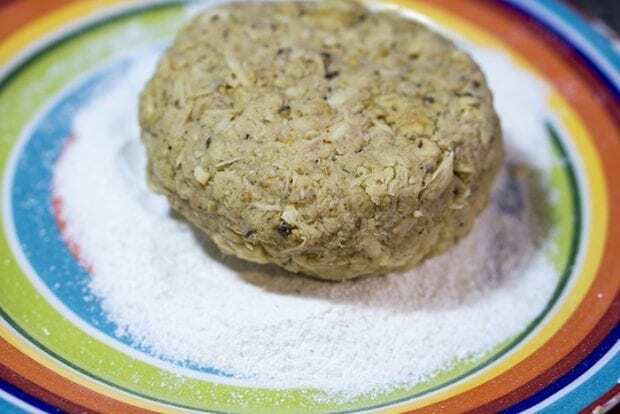 Fry the tuna burger in oil for about 2-3 minutes on both sides. I also gently flipped the patty onto its side to make sure I got the thick sides as well. This will ensure that you have that crispy crunch on all sides. Don't forget the tuna burger toppings! I also made my own chipotle aioli to put on the chipotle tuna burger. I just mixed chipotle seasoning and a dash of sriracha into some mayonnaise and let it sit for a few hours to make sure the flavors all blended nicely. You could also make a delicious chipotle slaw to top this tuna burger. I'm a sucker for slaw on burgers! Drain water from tuna and place in a bowl. Using a fork, mash the tuna and well separated. Add egg and mix until fully incorporated with tuna. Crush about 8 saltines into crumbs and mix. If the mix is too runny, add in additional saltines until you can form it into a patty and it sticks together. Heat oil over medium-high heat in a pan. Place cornmeal onto a small plate. Place patty into cornmeal to cover all sides of the tuna patty. Fry tuna burger for 2-3 minutes per side making sure to get the sides of the patty as well. Place on paper towel lined plate when finished. You can make one large patty or two small patties with this recipe. I love to dress it up in fun ways like a Spicy Sushi Stack or this Chipotle Tuna Patty. I don’t have saltines…can panko be used instead? You can, and I would add a pinch of salt to get the same effect.